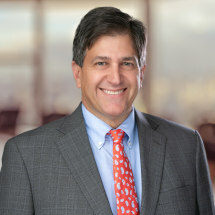 David is of counsel with the firm and has been representing individuals and families who have suffered an injury or loss for more than thirty years. He has earned a reputation for zealously pursuing fair compensation for his clients while exhibiting professionalism and integrity. David takes pride in treating his clients as if they were his family. He enjoys meeting with them often and sharing the progress of the case and thereby gaining feedback on the client's case. Regular communication with the client provides David with valuable information and allows him to meticulously prepare the client's case for trial in the event that step is necessary. While almost no one wants to go to trial, David has learned over more than thirty years that the best way to avoid trial is to prepare as if there is going to be a trial. If a trial is necessary, then David is always ready to take on the insurance company to achieve justice for his client.